Over the past 4 months, I’ve been developing the service assessment process for the Scottish government’s service standard, Digital First. The standard applies to all online services on our mygov.scot platform and has been around for a while. Over the last few months however, myself and my colleagues in the transformation team have been working out how we should assess new services against the Digital First standard. To help us do this, we visited our English counterparts at the Government Digital Service (GDS) to see what we could learn from them. At GDS, the Standards Assurance team is responsible for running the service assessments. We went to watch one, which turned out to be a good example of how a service team should present their service to the assessors. I’ve themed the main things we learnt below. We’re in the lucky position where we can implement measures early on to try and avoid some of the issues GDS has faced. For example, we now understand long assessments can be challenging for service teams, as assessors sometimes don’t get a full picture of a service. To try and avoid this, we’re thinking about encouraging assessors to attend team show and tells in the lead up to a service assessment so they have more background information. We heard the kinds of questions GDS assessors ask and what kind of issues they’re interested in. They place lots of importance on having a process where service teams learn from users and use this to iterate and improve their product. This will be helpful when we run our first training session for our assessors, with GDS, as our assessors will get to hear first-hand the experiences of some GDS assessors. We wanted to know where GDS gets its assessors from and how much of their time assessments take. We were also interested in how GDS ensures consistency across its assessments. At GDS, service assessors take time out of their regular work to help with assessments, which can be pretty time-consuming. To try and avoid too much disruption to everyday work, we’ll try to make sure assessors aren’t called on too often. We also think it’d be beneficial to have assessors from other departments and public bodies, so there is a wider understanding of what Digital First means across the public sector. But we’re not just learning from GDS. It’s been interesting to watch the Australian Digital Transformation Office’s approach to service assessments, which focuses more on regular ‘check-ins’ than traditional assessments. The check-ins encourage collaboration between teams and assessors, working together to create a better service, which, after all, is what assessments are all about. 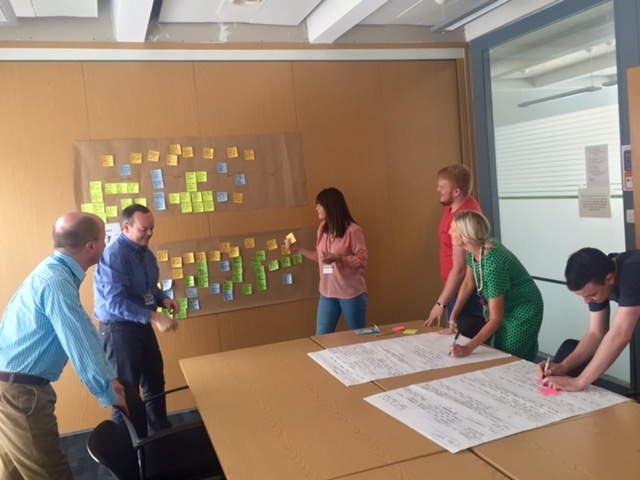 We recently hosted a workshop with some users from the types of organisations that will be using our assessment service to ask them how they think the process should work. We’ll be talking more about the outcomes from the day, and how we think the whole process will work, over on our Digital Blog soon. We’ve also recruited our first group of assessors and, with help from GDS, we’ll be training them this week. Over the next few months we’ll continue to design and test our process to ensure it’s as effective and as helpful as it can be. 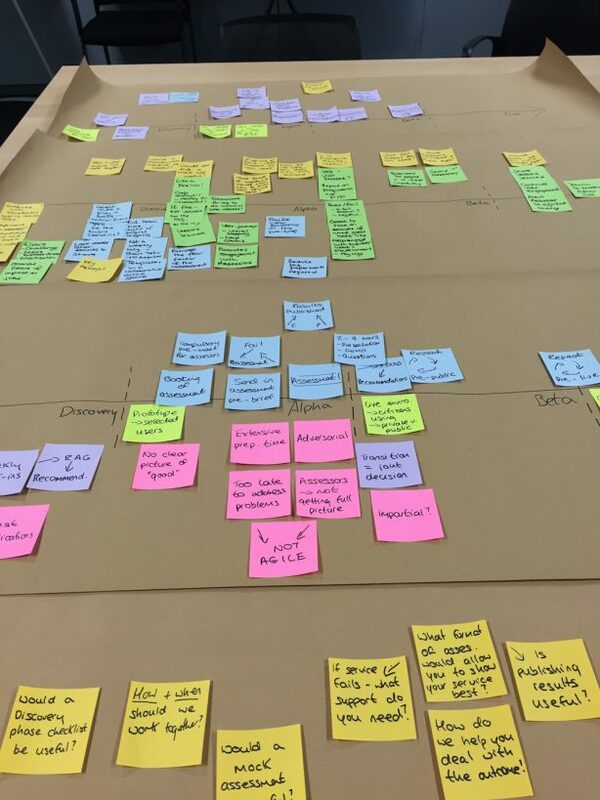 The process we design will reflect the things we’ve learnt from the service assessments elsewhere while acknowledging the unique nature of digital in Scotland. If you have any questions or comments, please email our team. You can also follow our progress via our own Digital blog. Hi Katy and thanks for doing the great work although I am a little surprised at work being done for mygov.scot appearing on the GDS blog and not the mygov.scot blog. Hopefully it will appear there soon. Scotland needs its own site because user needs come first. When you are looking for content users want content which is relevant and useful and gov.uk does a great job for non devolved matters. However the extent of Scottish devolution and the increasing areas devolved to Scotland means that anything which is accurate for Scottish citizens and businesses is increasingly difficult to find and a bit like the arguments for the Scottish six, why should people in Scotland have to wade through content that isn't relevant? That certainly isn't an optimal user journey and as well as the devolved areas of responsibility there is also the obligation on the Scottish Government to have a Gaelic plan and I'm looking forward to Gaelic content on mygove.scot a bit sooner than on gov.uk which I assume is outwith the scope of the Gaelic Language (Scotland) Act 2005 10(2). There is also the ease of scalability in Scotland and joining up central and local government with only 32 local authorities. I would like to see some joined up thinking from GDS so that with the differing levels of devolution across the UK, people should be able to type in their postcode and get content relevant for them. Tell us where you are was very prominent in the old alphagov site, perhaps it is time to revive it? My concern of the Scottish approach and also GDS is too much on localised optimisation and not enough big picture. If you meet the standard then you go live, rather than being clear about the strategy about what service does it make sense to put live next from the citizen's perspective. Certainly judging by the GDS performance dashboard there has been a fair bit of money burned on services hardly anyone uses. Hopefully Scotland will take a more strategic view. Keep up the great work, but please be open about your failures - fail fast is an integral part of agile and if we don't understand where the failures have occurred then we are at risk of repeating them unecessarily. All seems a little bit indulgent to be completely honest.